The Toronto Central Local Health Integration Network (LHIN) is pleased to announce that Dr. Vivek Goel has been appointed Chair, and Pamela Griffith-Jones has been appointed Director of the Board through an Order in Council from the Lieutenant Governor, as of November 16, 2016. Dr. Goel will serve a three-year term, leading the Board and the LHIN in its continuing mission of advancing an integrated sustainable health care system that ensures better health, better care and better value. Dr. Goel obtained an M.Sc. in Community Health from U of T and an M.Sc. in Biostatistics from Harvard University’s School of Public Health. His research has focussed on health services evaluation. He was a founding scientist at the Institute for Clinical Evaluative Sciences (ICES), where he continues as an Adjunct Senior Scientist. 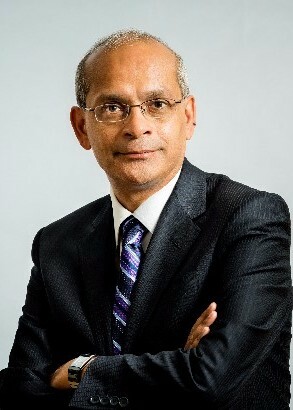 Professor Goel joined the University of Toronto in 1991 as Assistant Professor in the Department of Preventive Medicine and Biostatistics. He was chair of the Department of Health Administration in the Faculty of Medicine from 1999 until 2001, then served as Vice-Provost, Faculty and subsequently was the University’s Vice President and Provost from 2004 until 2008. Dr. Vivek Goel is a distinguished scholar with an extensive background in teaching, research and university administration. He obtained his medical degree from McGill University and completed post-graduate medical training in Community Medicine at the University of Toronto. He was founding President and CEO of Public Health Ontario from 2008 until 2014, where he was highly successful in building an academic public health services agency that provided scientific and technical advice to front-line practitioners. Prior to rejoining U of T he served as Chief Academic Strategist with Coursera, a global platform that connects universities and learners with online courses. He was appointed Vice President, Research and Innovation of the University of Toronto in December, 2014. Ms. Griffith-Jones will bring exceptional leadership, experience and individual expertise to the board. Her participation will be instrumental to the LHIN’s strategic decision-making on local health care issues. 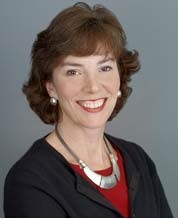 Pamela Griffith-Jones is the Chief Executive Officer of Nieuport Aviation Infrastructure Partners, a consortium of Canadian and international infrastructure investors which owns and operates the Billy Bishop Toronto City Airport passenger terminal. 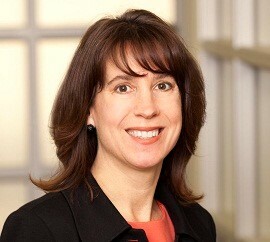 Prior to joining Nieuport Aviation, Pamela worked at the Greater Toronto Airports Authority where she was the Chief Commercial and Marketing Officer and then subsequently Vice President, Guest and Terminal Services, accountable for all commercial and operational aspects of Toronto Pearson’s terminals. Pamela’s other work experiences include 14 years at Canadian Tire in a series of senior strategy and P&L roles including Vice President of the Leisure Division. Pamela was a member of the Sunnybrook Health Sciences Centre Board of Directors from 2006-2015. Her involvement included serving as Chair of the Governance Committee as well as participating on numerous board committees such as Business and Human Resources, Quality of Care, Education and Research. Pamela holds both HBA and MBA degrees from the Richard Ivey School of Business at the University of Western Ontario. To learn more about our Board of Directors,click here. The Toronto Central LHIN has launched an integrated community care initiative as part of our 2015-18 Strategic Plan and in partnership with the work underway to strengthen primary care. Over the next several months, the Toronto Central LHIN, Toronto Central CCAC and our community partners will come together to define the building blocks of One Community – a client-centred, highly coordinated system of care that is easy to navigate and easy to access for clients and caregivers. A move toward integrated community care requires collaboration across many providers, and must be guided by a shared vision for health service delivery that responds to local need. We have planned a full-day Roadmap Summit on December 13th that will bring together more than 170 sector staff and leaders, clients and caregivers, primary care and other partners. This will be a hands-on, highly active day of collaboration to generate solutions for a more integrated system of care that enables improved access, coordination and navigation for clients and caregivers. To learn more about our integrated One Community initiative, please click here. October was a busy month for the Toronto Central LHIN's Local Collaboratives. We facilitated sessions organized in each of the 5 sub-regions to engage key stakeholders in cultivating a shared vision and principles as a starting point for developing a shared collaborative agreement. The Local Collaboratives will serve as the focal point for population-based planning, service alignment and integration, and performance improvement. There was an agreement between the health service providers present that the role of the Local Collaborative will be to work together to improve the health outcomes and experiences of the people and patients within their local geographies and that this work will be driven by community needs and the community’s voice. Participants also completed a "walk around the neighbourhood" in order to gain a deeper understanding of the local neighbourhoods and populations within each sub-region planning area. This work will continue with sessions being held in January. Eric Hoskins, Minister of Health and Long-term Care administered flu shot to Diane Charter, member of our Citizens Panel. 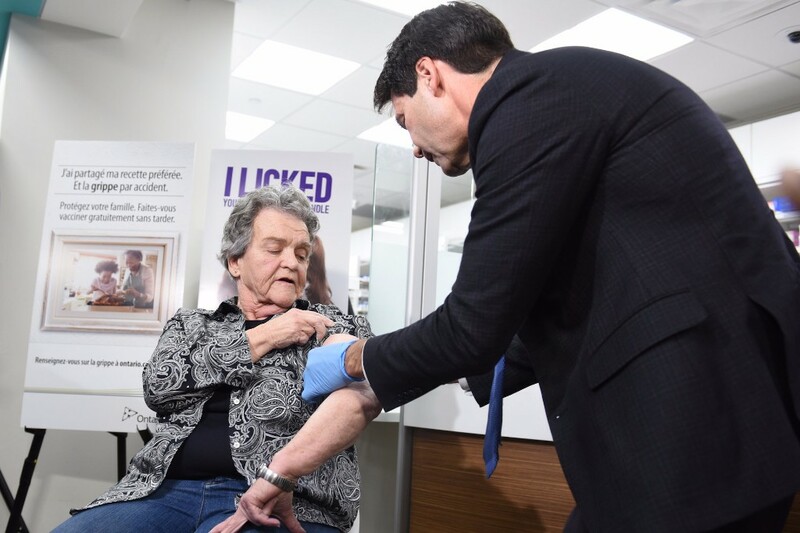 Toronto Central LHIN Citizen’s Panel Member, Diane Charter, joined Eric Hoskins, Minister of Health and Long-term Care to remind Ontarians of the importance and availability of the flu shot. The vaccine will be available at doctor's offices, local public health units and community immunization clinics. Anyone five years of age and older can also be vaccinated for free by trained pharmacists at approximately 2,600 pharmacies across the province. Influenza is a serious respiratory infection that can lead to hospitalization and even death. It's important to get the flu shot every year to protect yourself, and those around you. Children under five, pregnant women and seniors are especially at risk of getting seriously ill from the flu. The vaccine is very safe and helps to protect against the most common strains of the virus. More information about the flu shot can be found here. On November 15th, our CEO Susan Fitzpatrick had the opportunity to provide opening remarks for UHN OpenLab’s special presentation of The Future of Aging (is Already Here). 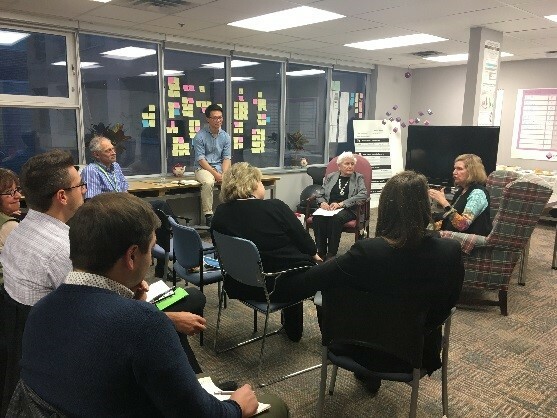 Christine McMillian, the 86-year old founder of Oasis, a retirement community in Kingston, Ontario engaged the intimate group with the story of how a group of older seniors were able to take agency over their own health care. Seeing limited options for supporting seniors as they age, Christine talked about how she and her colleagues transformed an ordinary apartment building into something of an oasis, a community that allows its members to influence and guide the types of services, supports and activities that are offered. As an alternative to what is currently available, these seniors were able to find a place to call home without losing their voice. 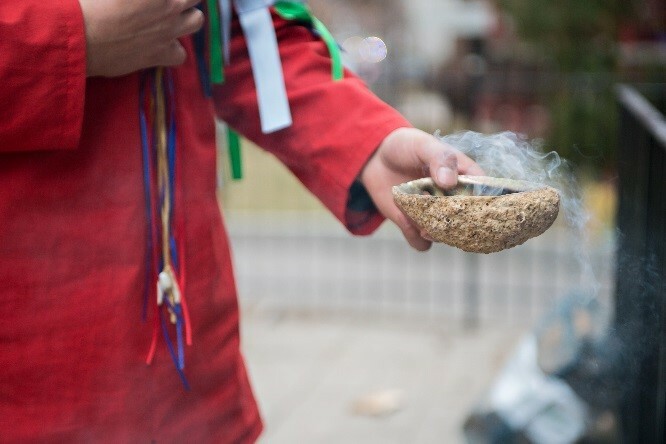 The Toronto Central LHIN is offering health service providers an opportunity to engage their staff in Indigenous cultural safety training. There is a growing recognition that most health care planners and providers may not have adequate awareness in this area. At the same time, we know that when health services are delivered in a culturally safe manner, Indigenous people are more likely to seek care and stay for treatment. We know that we have an Indigenous population in Toronto of about 70,000 that access services across the GTA. We also know that there is a need for culturally safe and trauma-informed care to meet their needs. The goal of this training is to improve health outcomes for Indigenous people. This may also lead to a reduction in hospital visits as Indigenous people become more confident in accessing the full continuum of services that are available to them. The Toronto Central LHIN is supporting the inaugural Toronto Indigenous Health Strategy which has 24 recommendations under 3 strategic directions. One of the recommendations calls for increased investment in supporting culturally safe primary care. 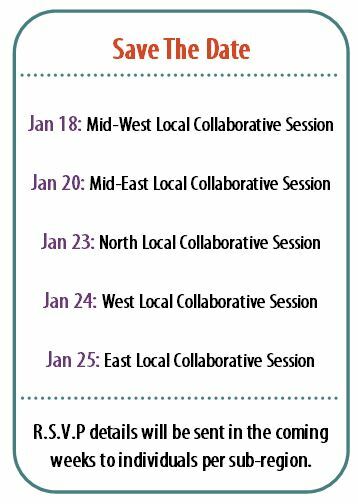 To help promote this strategy and align with both provincial and regional equity priorities, the Toronto Central LHIN is offering a choice of free in -person and/or online Indigenous cultural training to our HSP’s. 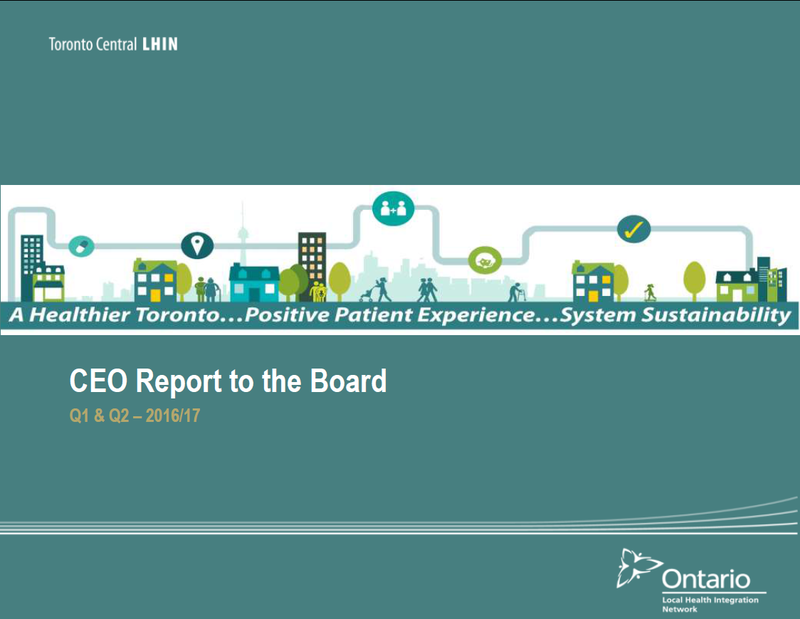 The Toronto Central LHIN Board of Directors met on October 26, 2016 and received the CEO’s Report (Q1 & Q2). This report provides a summary of our accomplishments since April and shows the significant headway we have made toward achieving our strategic priorities. 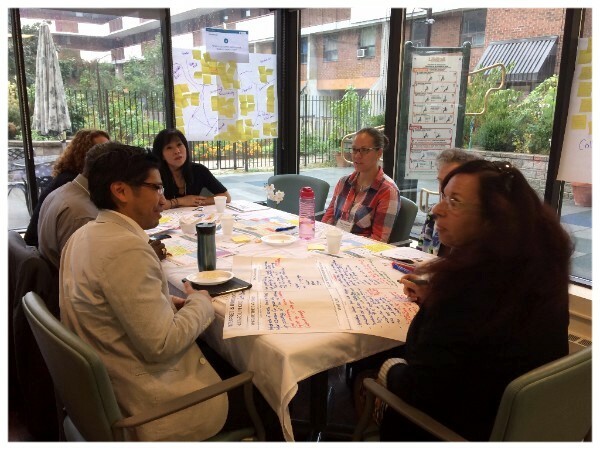 In the Toronto Central LHIN, a new local Palliative Care Network is being developed that will bring together health service providers and key stakeholders to collectively work towards further developing a comprehensive, integrated and coordinated system of palliative care at the local level. Earlier this month, our health care partner Stacey Daub announced that she will be moving on from her role as CEO of the Toronto Central Community Care Access Centre (CCAC) in December 2016. Stacey will join Headwaters Health Care Centre in the Central West LHIN as President and CEO effective January 30th, 2107. We have valued the partnership and collaboration that we have shared with Stacey and her team at the CCAC over the years as we have worked closely together on many shared priorities and initiatives. We wish Stacey all the best as she begins the next chapter of her health care career, and we look forward to continuing our partnership with the Toronto Central CCAC. 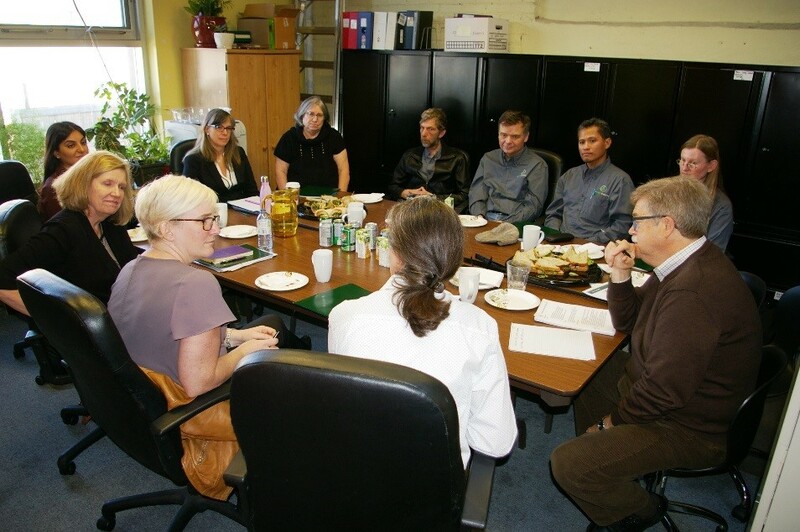 On November 10th, Toronto Central LHIN CEO, Susan Fitzpatrick, visited A-Way Express. Founded in 1987, A-Way Express was one of the first social enterprises to exist in Toronto. A-Way Express is a courier business established by, and for, individuals with lived experience of mental health challenges. With a strategic objective to support improved health for employees, A-Way provides meaningful employment and opportunities for consumers and survivors to develop vocational skills and experience in a supportive environment. The A-Way Senior Team shared the success and challenges they are facing and staff shared personal stories of how working at the organization has been instrumental in their recovery and continued well-being. Visit their website for more information on rates and services. Susan continues to visit Toronto Central LHIN funded health service providers in an effort to learn more about each of the 170 providers within the LHIN. She is scheduled to visit Sienna Senior Living and Renascent Addiction Treatment Centres next month. To-date, Susan has had the pleasure of visiting with more than 60 health service providers in the community. On October 31st the Toronto Central LHIN hosted over 20 HSPs for the Regional Framework Planning Engagement Session. The purpose of this session was to validate a draft definition and principles for the evolving Regional Services Framework, and to begin to identify gaps and opportunities regarding access to these services. Our goal is to develop a regional services framework for Toronto Central LHIN that will align and coordinate provincial, specialty GTA and LHIN-wide services and programs. The group has envisioned one structure for Toronto Central LHIN to guide the development of an effective regional services system to improve how patients experience timely, reliable and equitable access to regional services and to also improve system planning by strengthening the quality and sustainability of these services. As we come to the end of 2016, we would like to wish our Toronto Central community a safe and happy holiday season and best wishes for the new year.